Vintage Queen Anne charmer on terrific corner lot across from Howe Park and a stone’s throw from the Avenue! 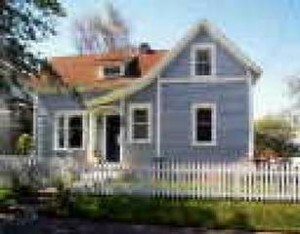 Light filled rooms, kitchen with eating space, gleaming fir floors, solid 5-panel doors, updated bath. Terrific lot and location!